South African Tourism and the Travel Corporation (TTC) have announced a two-year strategic alliance to promote and develop South Africa to C&I buyers. The joint venture aims to help grow South Africa’s tourism industry, leveraging its global awareness following the 2010 FIFA World Cup. 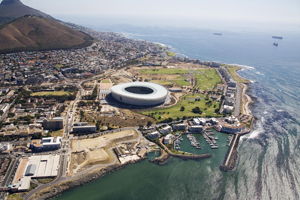 The announcement was made at tourism company TTC’s 2010 International Sales Conference, which brought 350 tourism business leaders to Cape Town for a one-week conference.